One of the standards on the new Common Core is that students will be able to write numbers in various forms. One of these forms is to write out a number in word form. For example, the number 164 is “one hundred sixty four.” Here’s a game/activity for two students to do. They must try to get 4 squares in a row by writing the word form of the number printed in the square. Enjoy! 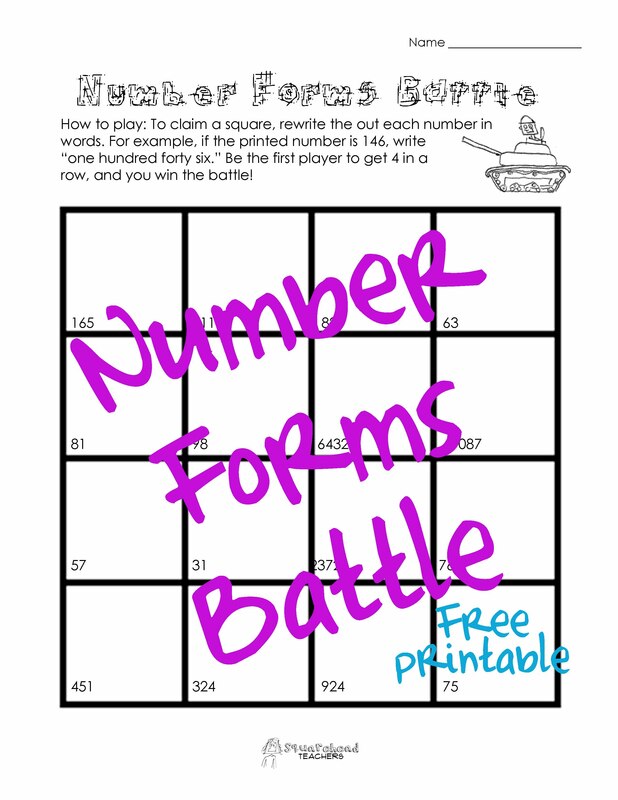 This entry was posted in Games, Math, Math Games and tagged Children, Elementary School, Games, Homeschool, Kids, math games, number forms, numbers, Teacher Resources, Teachers, Teaching by Squarehead Teachers. Bookmark the permalink.